Are you in the market for the best home audio experience you can get and don't want to spend a ton money getting it? Introducing the all new, Sylvania SDVD5088, 5.1 DVD Home Theater System! 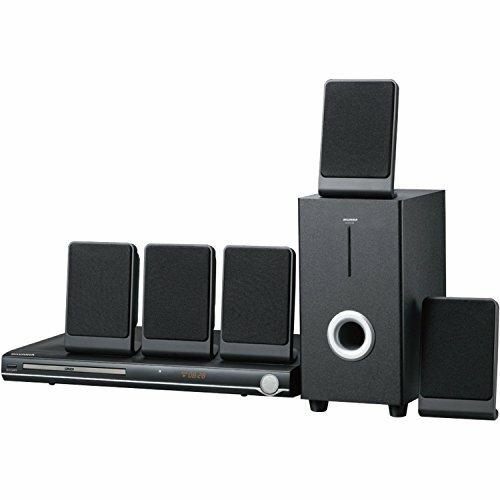 This 450 watt, DVD system comes loaded with 5 speakers including a subwoofer and a remote control. Use this in your family room, man cave, dorm room or bedroom. The output is amazing and will fill up any room. Great for the big game, your favorite movie or when you just want to pump up the music while you are doing household chores. All provided by Sylvania, the leader in 5.1 home audio systems! If you have any questions about this product by Sylvania, contact us by completing and submitting the form below. If you are looking for a specif part number, please include it with your message.